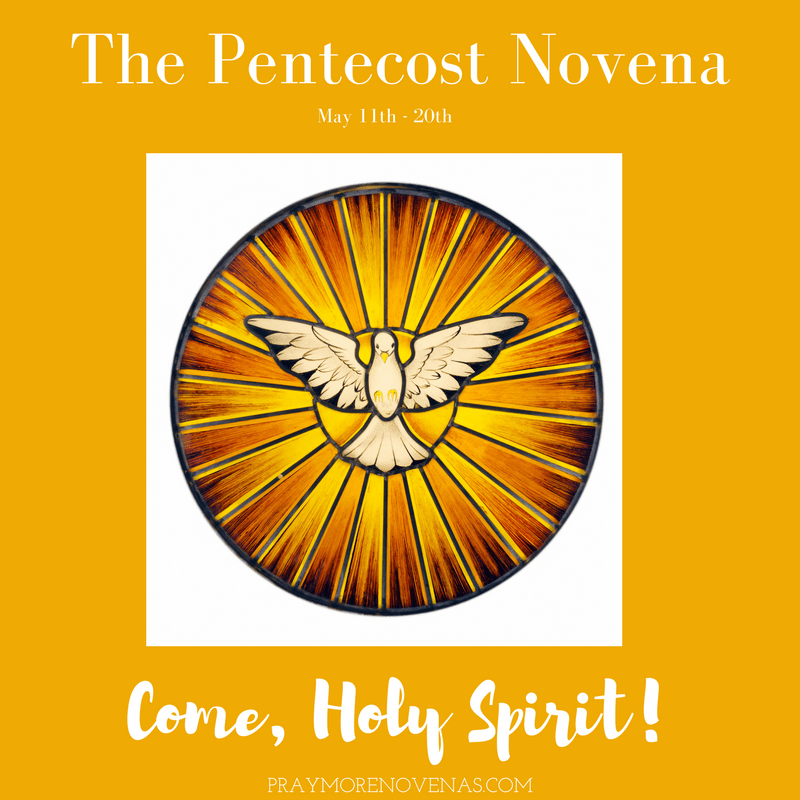 Here’s Day 8 of The Pentecost Novena! Holy Spirit take control of my life and direct me on the right path in life. I also pray for the spirit of patience and humility, amen. Special prayer intentions for all the students and parents, educators and first responders affected by the school shooting in Santa Fe, Texas. Good Morning PAUL and Annie I have a question I forgot to pray my Novena yesterday can I pray day 7 and 8 today or do I start the Novena from day 1 again? Come Holy Spirit, take charge of our lives! Me, my husband and our son. Especially enter and take charge of my son’s body, mind, spirit, soul, his life, his applications to medical school, especially CAUSM, his application evaluators, all those who are sitting on them, breathe on them. Breathe on them Holy spirit and awaken them and have them look and re-look, read and re-read and send out acceptance today, Shake the whole system with your power, pout out your miracles upon my son to be accepted today. Blessings of good health, wisdom, direction, self control, success with the applications and acceptance and seat and admission in CAUSM today, Amen. Please give me more self control and help for my husband who is doing well apart from memory lapses. Give me strength to have a happy poll age. In the name of the father. Amen. oh holy spirit we pray that you may give us self control too to use this wisely in every decision we make, praying also for my husband to touch his heart to be more mature on every aspect of our lives, praying for good health, more blessings to my parents and family, and to those who are in need too, in jesus name with your holy spirit amen…. Holy spirit as we approach the feast of Pentecost.i pray for financial deliverance today. I pray for money to finance my son throughout medical school. I pray for money to help ny son meet his other financial obligations. I pray that my daughter be successful with her exams today..Please bless my family and my marriage Lord. Holy Spirit inkindle in my family and I the fruits of the Holy Spirit that we may use these gifts to bring others closer to you. Please help me financially to pay my taxes and insurances. Whatever your will for me is I will accept. I am praying for you. You have been so faithful in your prayers. I look forward to hearing your answered prayers and success. My son is a DVM so I know how hard it all is. God Bless You!